What the Flower! 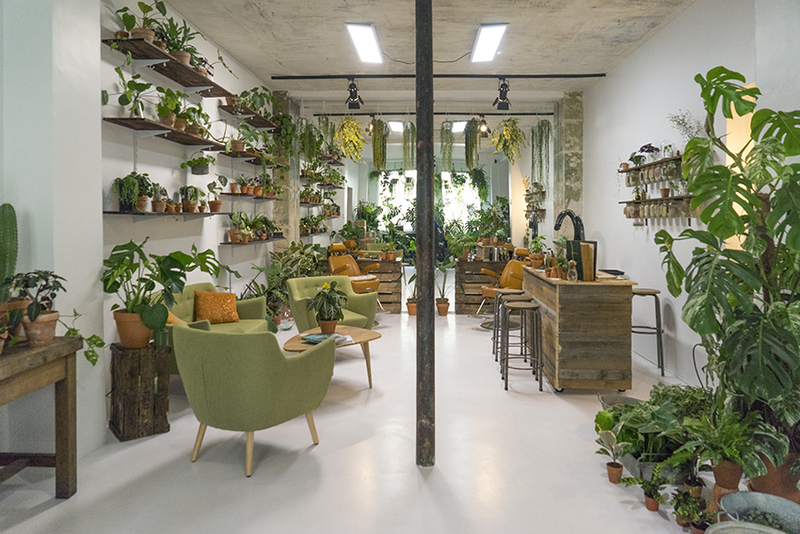 A brand new planty location has opened in Paris! 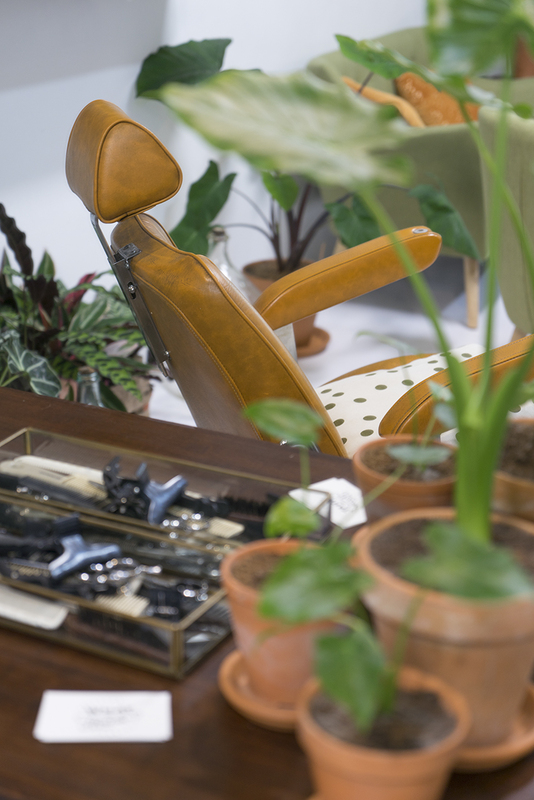 Our friend Justine from Sweety Oxalis told us a while ago that she was working on a secret project: a new place where she would combine her love for plants and her job as a hairdresser. 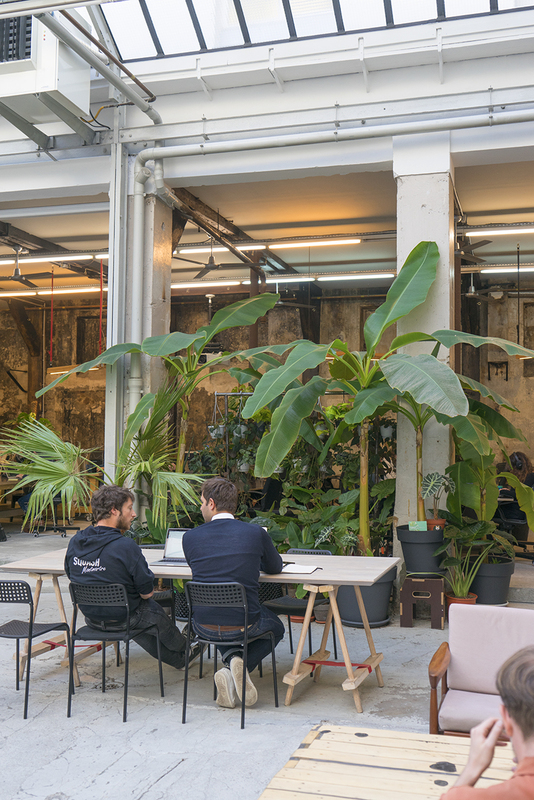 She found her ideal location in the 11th district in Paris and worked the entire summer with her team to open their new plant shop and hair salon. We followed sneak peeks on Instagram and saw a giant mirror being hoisted into the space, which made us even more curious of what it would look like. 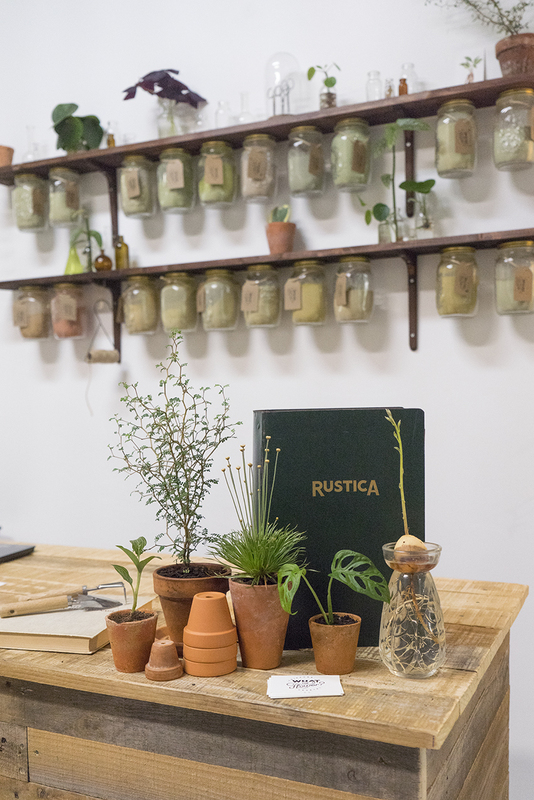 Justine teamed up with aKagreen, an online boutique for plants, and their beautiful space is now open for everyone. Join us for a virtual visit of What the Flower! 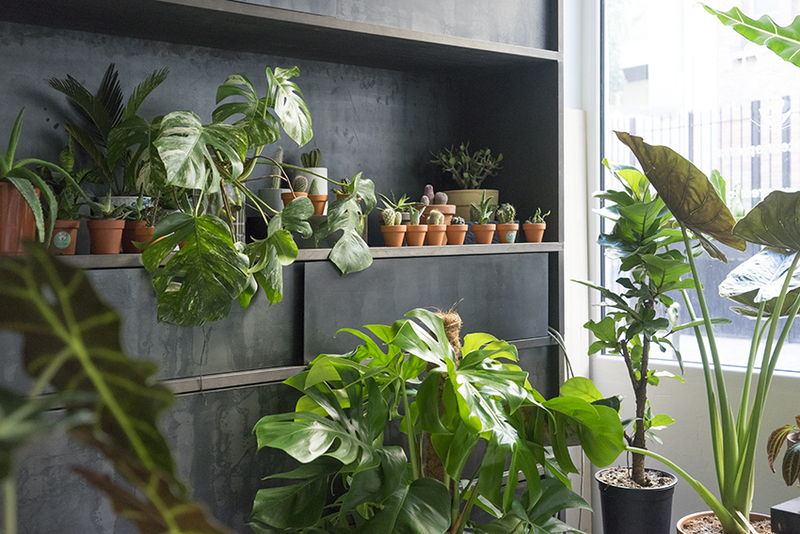 If you follow Justine on Instagram you know she loves her plants: Pilea, Monstera, Alocasia and Oxalis… as you can see: all of these are well presented at What the Flower. 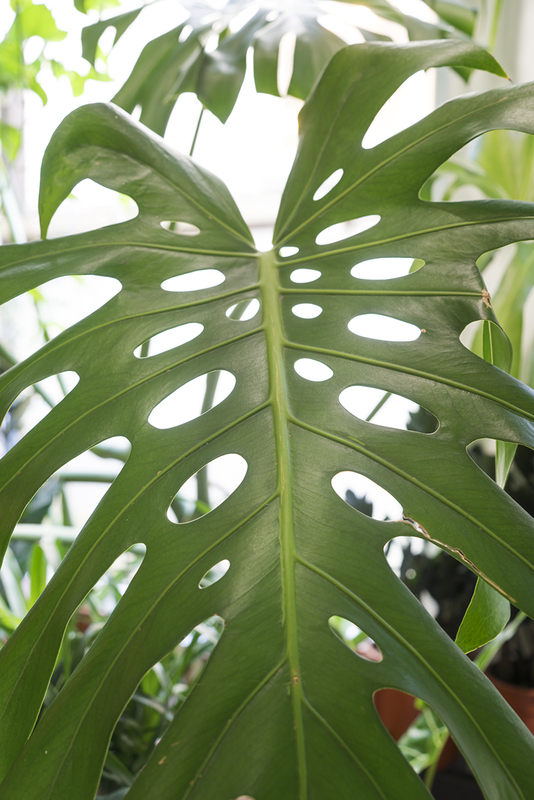 Two old Monstera deliciosa are the stars of the space and shine with their mature leaves that have a beautiful hole pattern. These two beauties are not for sale, but can be rented for special events. What we love at What the Flower is that you see the “plant preference” and personality of its owner so well. 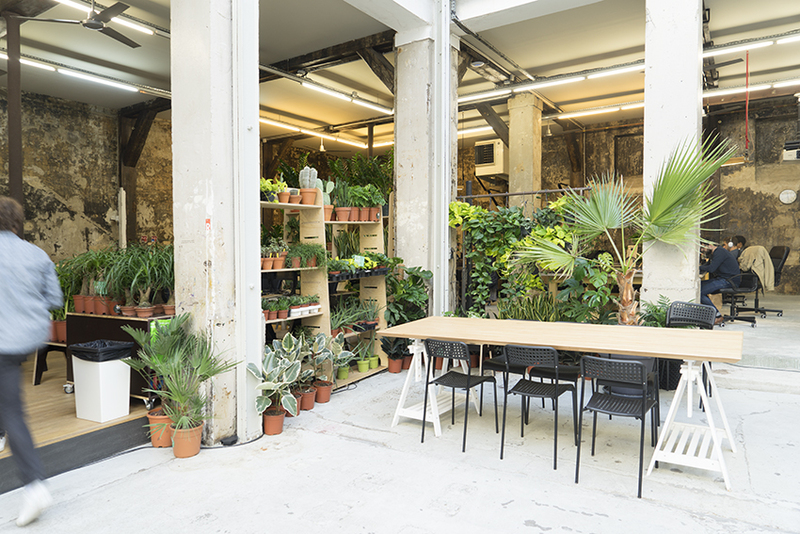 In Paris we’ve seen quite a few new botanical shops open their doors this year (which we listed in our French #urbanjunglebook by the way!) and they all have a completely different personality, audience and price range. 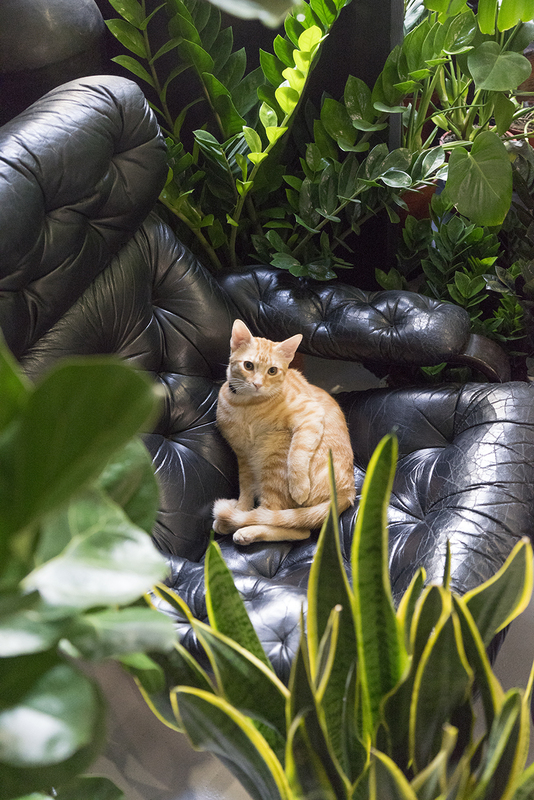 We believe there is room for everyone, as long as true passion is involved. Which is clearly the case at What the Flower! 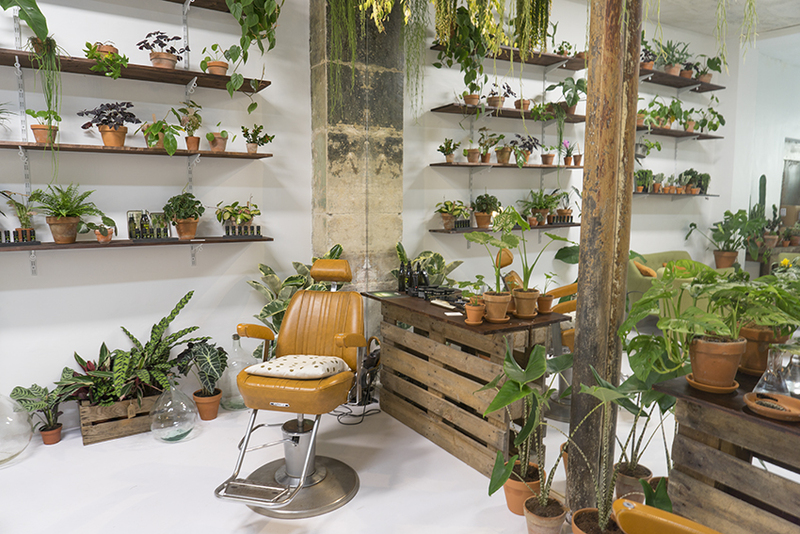 But What the Flower is not only about plants, it is also a real hair salon! 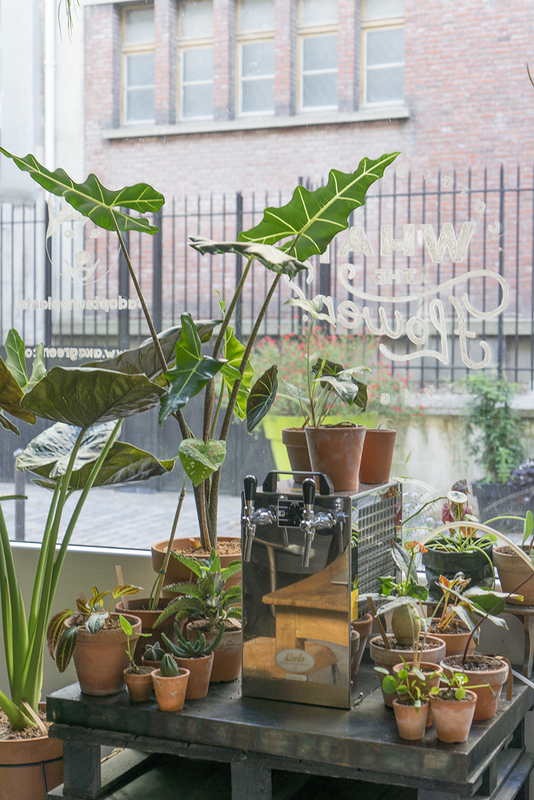 The huge mirrors that were installed this summer reflect the light and visuallyy double the amount of plants you can see. And of course they reflect your “new hair” once Justine has done her magic! 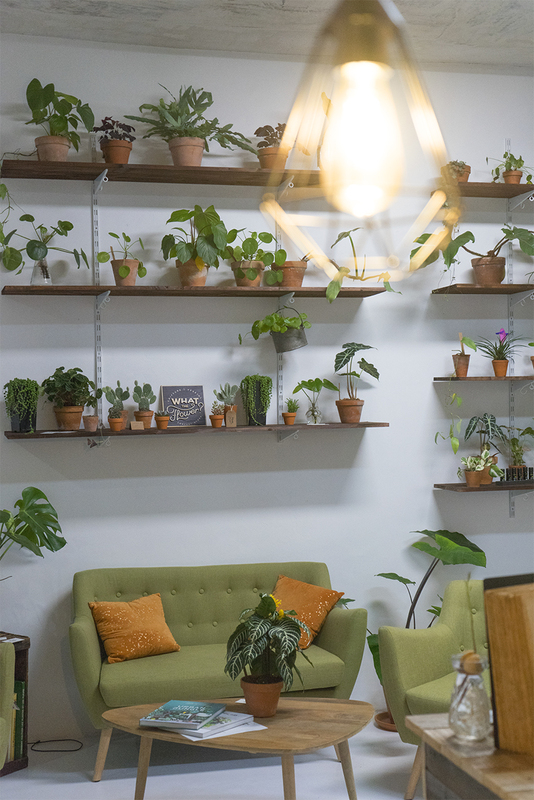 Justine has been a hairdresser for a over a decade and as a plant lover, she was so fed up with all the chemicals that are typically used to treat and color hair, that she started using more and more natural dies and products. For What the Flower she chose The Hairborist, a bio hair wellness brand that uses 100% natural colors derived from plants, flowers and bark. When we visited, a client just left with a fresh new look for her hair and the color looked amazing, natural glowing and healthy. Well done Justine! 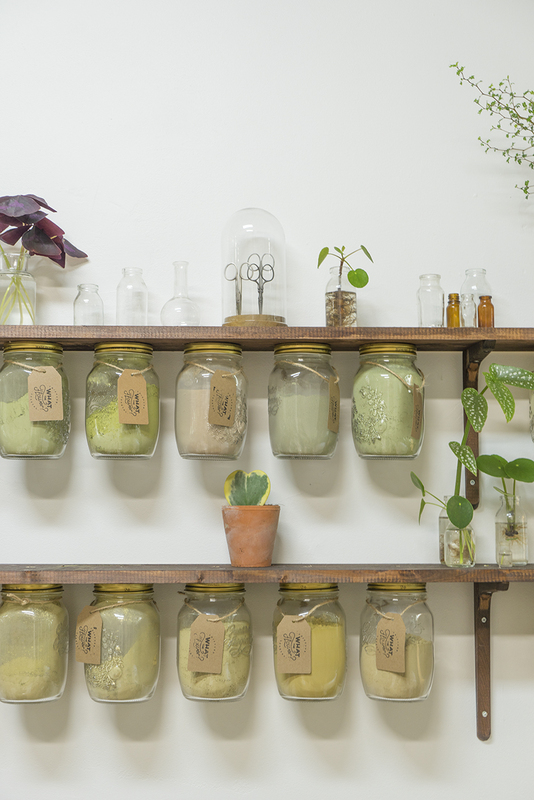 As an extra touch of decoration, Justine decided to show off some of the hair care products, especially the ones in powder, that she beautifully lined up in Mason Jars behind the counter. Why hide these organic products when their colors fits the natural color concept of the shop so well? 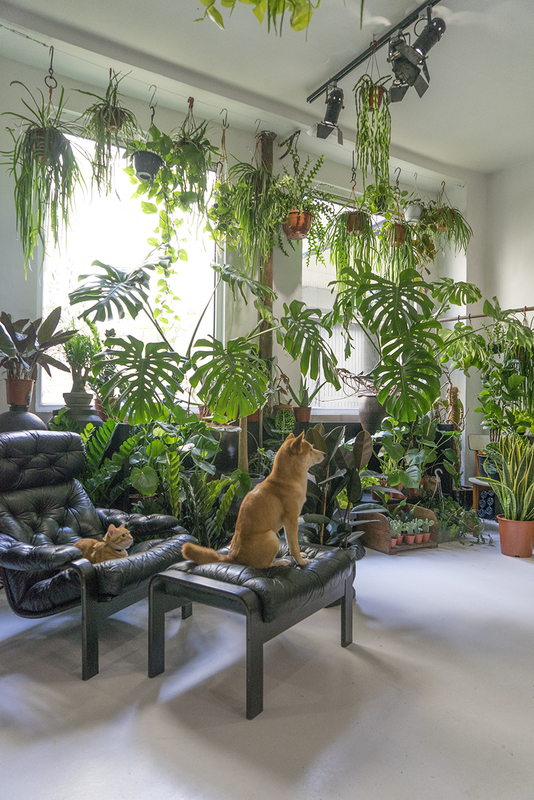 In the second part of the shop, you can find the workshop and office of aKagreen, an online boutique for lush tropical plants, that are promoted by their cute Shiba Inu mascot aKa. 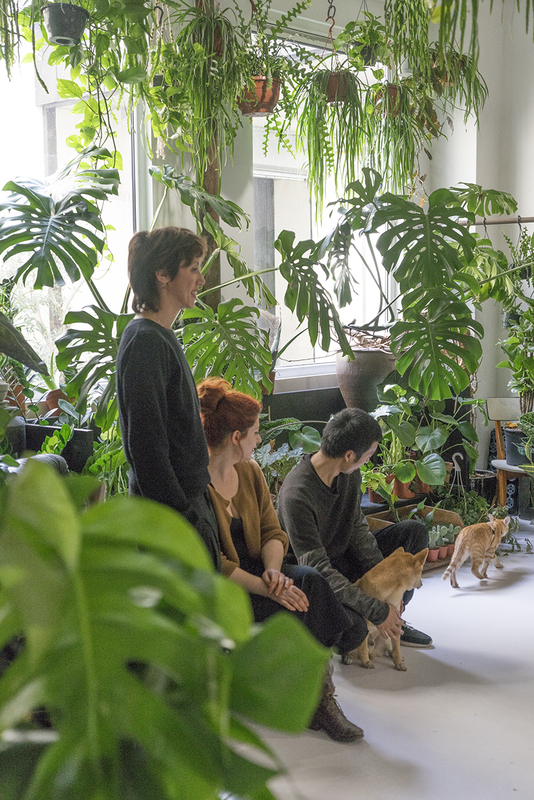 Together with Sabrina and James, the team behind aKagreen, aKa selects the prettiest easy-to-care-for plants that you can order online for your home, shop or office. 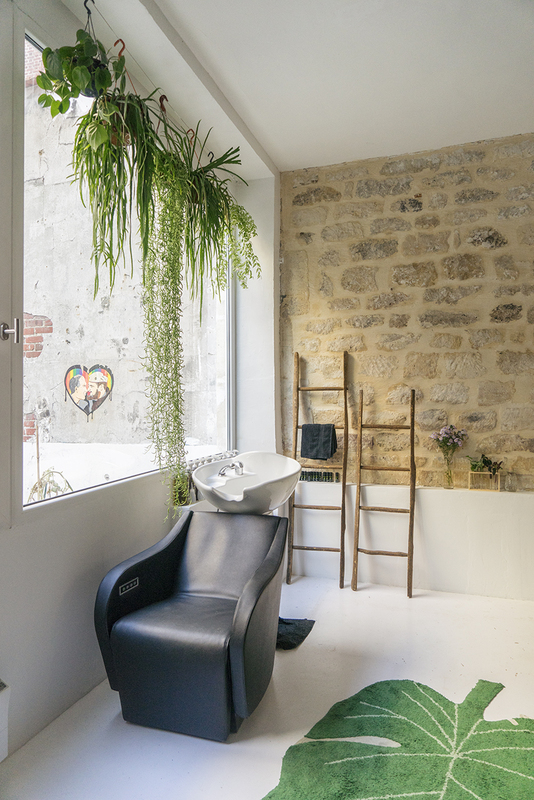 Delivered by bike or electric car in Paris, and in the rest of France by delivery service. 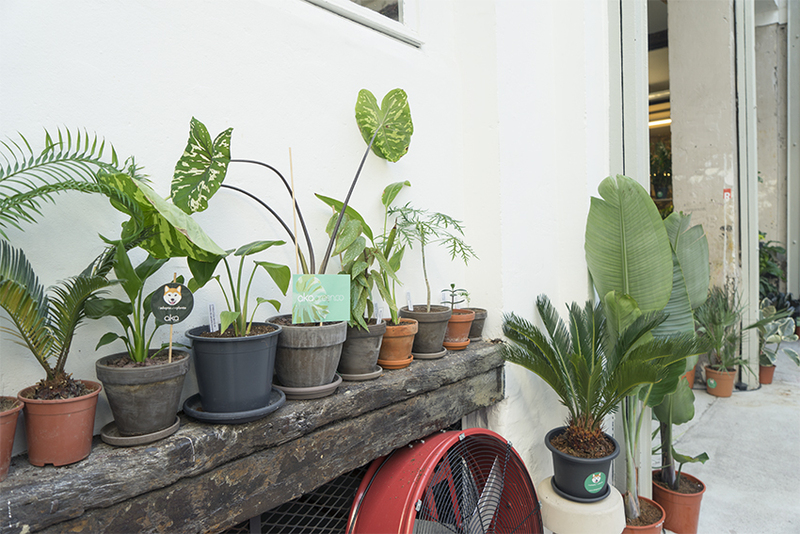 All plants come with personalised care tips to keep them happy and healthy. 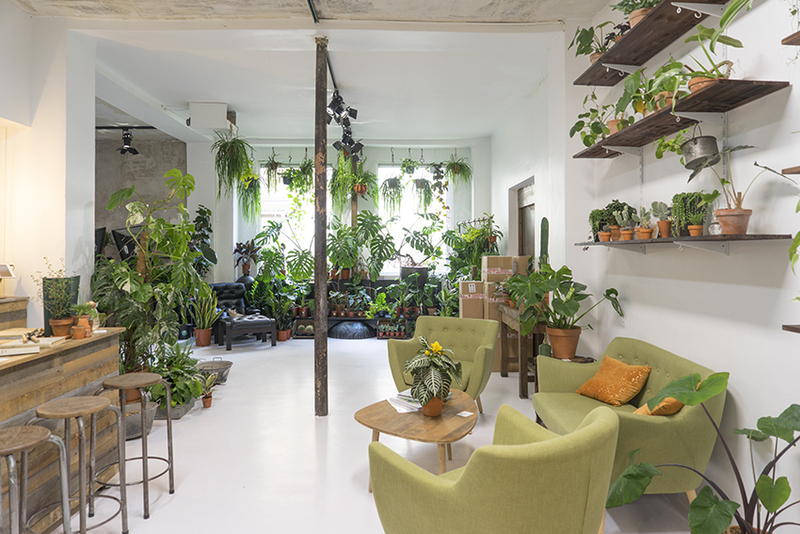 And where does aKagreen keep their stock of plants? 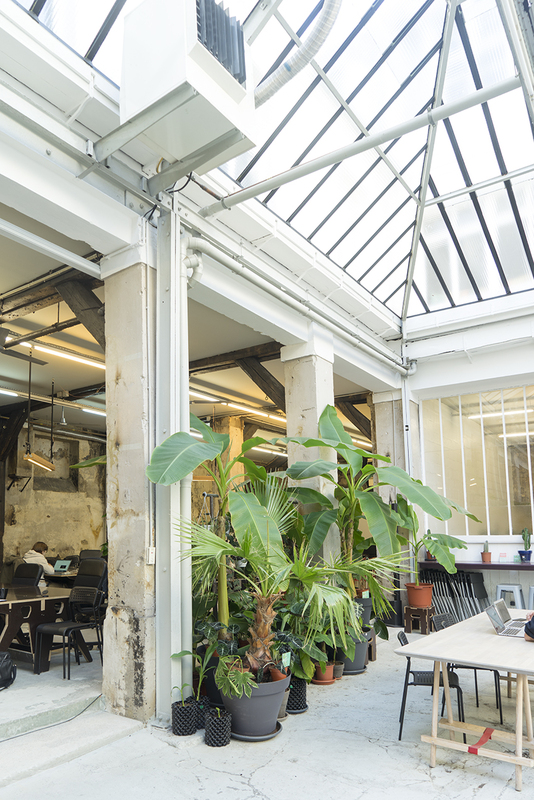 At their neighbors: startup hub Le Wagon! 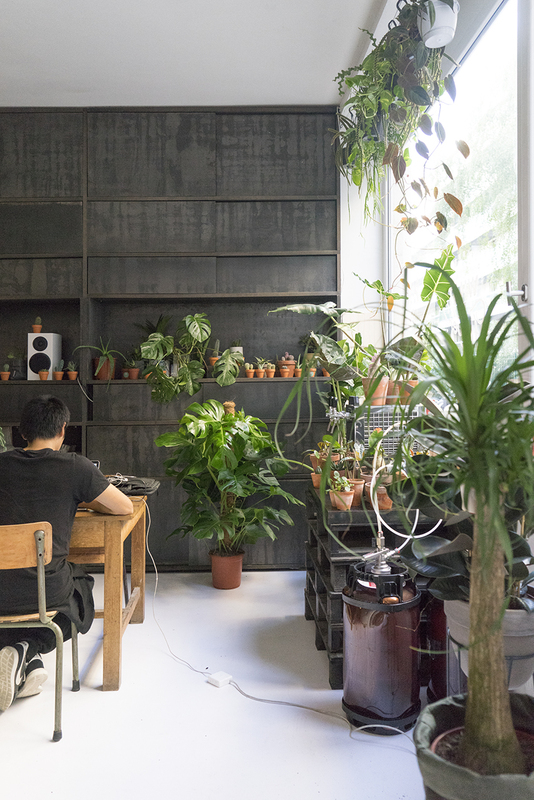 Students, teachers and co-workers get their jobs done in a true urban jungle office with huge banana trees and ZZ plants. 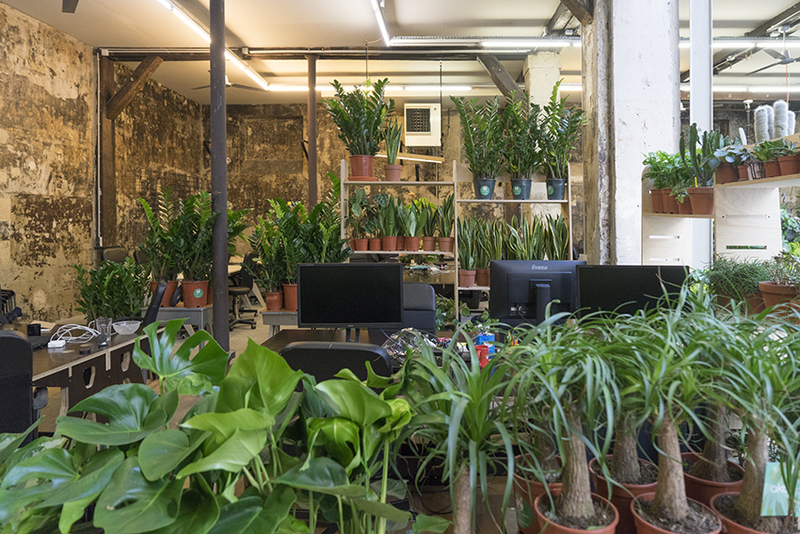 Tons of lush Sansevieria, ponytail palms and Calathea are lined up between office desks and computer screens. They purify the air while people code news apps and software. 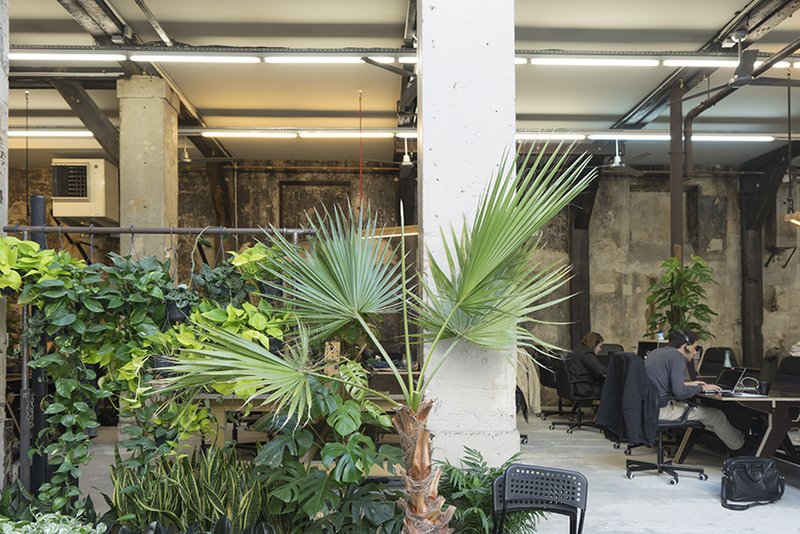 And it makes the industrial loft look so much better at the same time. Win-win for everyone! 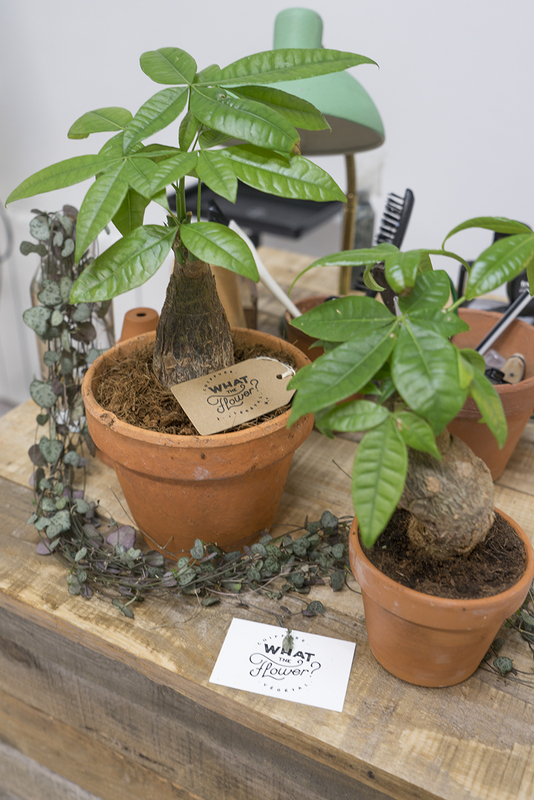 We hope more plant businesses will follow this clever example! 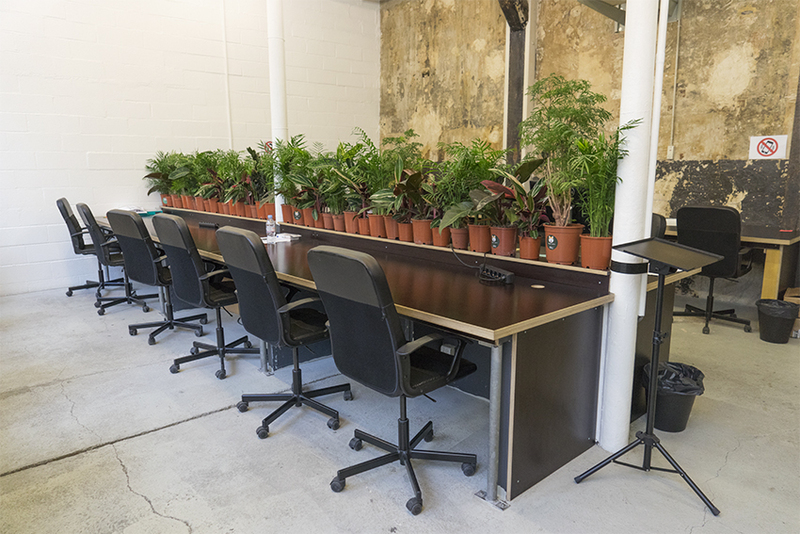 Oh and if you’re worried about the plants being “destroyed” by people working here? Of course there are casualties sometimes, but everyone is rather respectful. 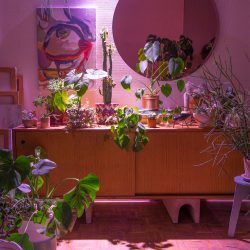 James told us that placing all the plants together in groups (#plantgang alert!) really helps preserving the plants. 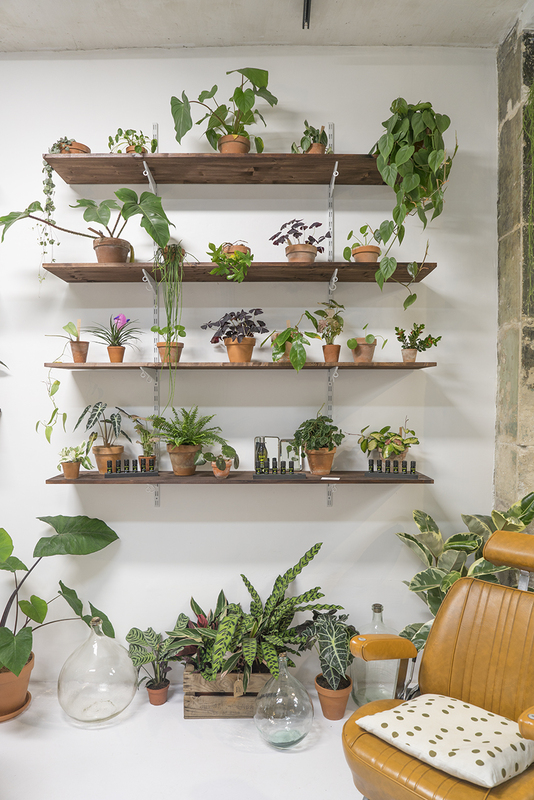 And it makes plant care and watering so much easier too! Don’t you wanna work here? 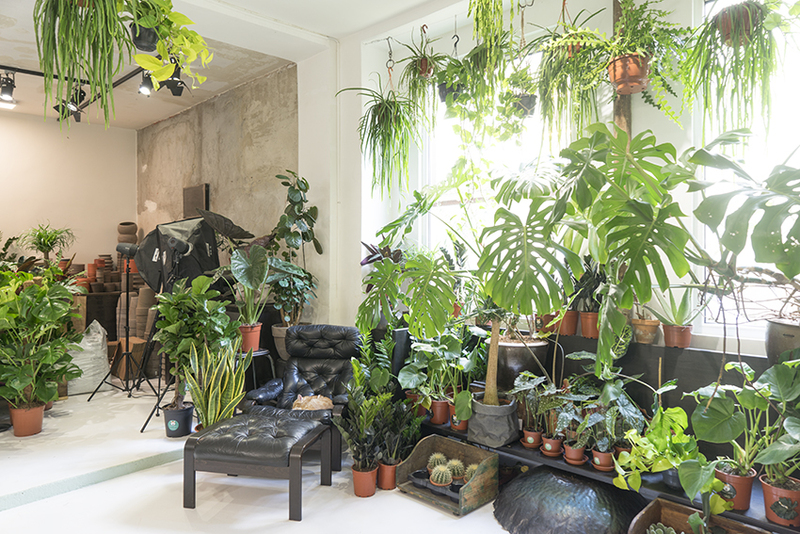 Next time you’re in Paris, make sure to make a stop at What the Flower for some plant shopping. Or book an appointment to get your hair done!